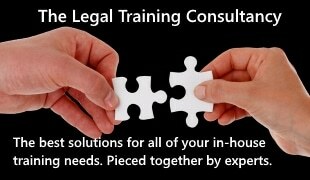 SOS Connect from Legal Futures Associate is proving to be a catalyst for change and delivering improvements in performance, efficiency and management at Barker Gotelee Solicitors as they start to feel the benefits of rolling out their new SOS system. The software went live throughout the firm in October as part of a project to totally revamp IT in the firm. Based in Martlesham Heath near Ipswich, Barker Gotelee provides commercial, competition, litigation, road transport, taxation, family law and private client expertise to businesses and private individuals. The firm has established a national reputation as agricultural law experts. “As a specialist firm, we are determined to build upon our high quality service and not dilute our offering,” said practice manager Mandy Suchocki, who headed up the implementation. Work began on the replacement of the previous IRIS AIM system in May with SOS Connect live for firm-wide generic workflows, document management and accounting six months later. Case management has been introduced for conveyancing, with probate and debt recovery scheduled to follow. Capitalising on the investment is a key driver in the firm. “The determination is here to maximise the use of as much functionality as we can,” she continued.